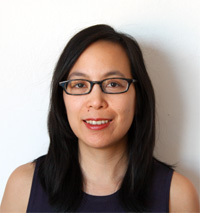 Katherine K. Chen’s research specialty is the study of organizations; her other research interests include work and occupations, economic sociology, social movements, urban community, and cultural sociology. Her ethnographic studies include research on the growing organization behind the annual Burning Man event. Her award-winning book, Enabling Creative Chaos: The Organization Behind the Burning Man Event, shows how an enabling organization can support members’ efforts without succumbing to either under-organizing’s insufficient structure and coordination or over-organizing’s excessive structure and coercive control. Prof. Chen's recent research examines how organizations in an organizational field collectively manage uncertainty wrought by policy changes, fiscal crisis, and unexpected exogenous shocks such as natural disasters. To understand how organizations collectively innovate (or maintain the status quo), Prof. Chen is studying the coordination efforts of organizations undertaking a not-yet-familiar mission of helping older adults "age in place" in their homes rather than moving to retirement homes or nursing facilities. This project also includes in-depth ethnographic research of innovative organizations that attempt to change images of aging and strengthen neighborly bonds. Currently, Prof. Chen is an undertaking an ethnography of how a growing organization, which originated out of the democratic free school movement, communicates its unfamiliar mission and practices to contemporary generations of prospective and current stakeholders. co-organizing the new "Alternatives to Capitalism" research network at Society for the Advancement of Socio-Economics (SASE). Prof. Chen received her Ph.D. and M.A. in Sociology from Harvard University and an A.M. in Sociology and an A.B. in Human Biology from Stanford University. She is associate professor in sociology at The City College of New York and the Graduate Center, the City University of New York. - Awarded the 2011 Outstanding Book in Nonprofit and Voluntary Action Research by the Association for Research on Nonprofit Organizations and Voluntary Action (ARNOVA). - Awarded Honorable Mention for the 2011 Max Weber Award of the Organizations, Occupations, and Work (OOW) section of the American Sociological Association (ASA). Chen, Katherine K. 2018. “Interorganizational Advocacy Among Non-profit Organizations in Strategic Action Fields: Exogenous Shocks and Local Responses.” Nonprofit and Voluntary Sector Quarterly 47(4S): 97S-118S. Chen, Katherine K. 2016. ""Plan Your Burn, Burn Your Plan:" How Decentralization, Storytelling, and Communification Can Support Community Practices." The Sociological Quarterly 57(1): 71-97. Chen, Katherine K. 2013. "Storytelling: An Informal Mechanism of Accountability for Voluntary Organizations." Nonprofit and Voluntary Sector Quarterly 42(5): 902-922. Chen, Katherine K., Howard Lune, and Edward L. Queen, II. 2013. "How Values Shape and are Shaped by Nonprofit and Voluntary Organizations: The Current State of the Field." Nonprofit and Voluntary Sector Quarterly 42(5): 856-885. Chen, Katherine K. 2012. "Organizing Creativity: Enabling Creative Output, Process, and Organizing Practices." Sociology Compass 6(8): 624-643. Schmitz, Mieke Fry, Nancy Giunta, Nina S. Parikh, Katherine K. Chen, Marianne C. Fahs, and William T. Gallo. 2012. "The Association between Neighbourhood Social Cohesion and Hypertension Management Structures in Older Adults." Age and Ageing 41(3): 388-392. - Chosen as Outstanding Author Contribution Award Winner at the Literati Network Awards for Excellence, 2013. - Chosen as Outstanding Author Contribution Award Winner at the Literati Network Awards for Excellence, 2010. Chen, Katherine K. 2017. “Reporting After the Summit: Getting Ethnographic Research into Print.” Pp. 358-370 in The Routledge Companion To Qualitative Research In Organization Studies, edited by Raza Mir and Sanjay Jain. New York, NY: Routledge. Chen, Katherine K. 2017. “Capturing Organizations as Actors.” Pp. 31-59 in Approaches to Ethnography: Analysis and Representation in Participant Observation, edited by Colin Jerolmack and Shamus Rahman Khan. New York, NY: Oxford University Press. Rothschild, Joyce, Katherine K. Chen, and David H. Smith, with Omar Kristmundsson. 2017. “Avoiding Bureaucratization and Mission Drift in Associations.” Pp. 1007-1024 in The Palgrave Handbook of Volunteering, Civic Participation, and Nonprofit Associations, edited by Robert A. Stebbins, David Horton Smith, and Jurgen Grotz. Palgrave Macmillan. Chen, Katherine K. 2015. “Using Extreme Cases to Understand Organizations.” Pp. 33-44 in Handbook of Qualitative Organizational Research: Innovative Pathways and Methods, edited by Kimberly D. Elsbach and Roderick M. Kramer. New York, NY: Routledge. Chen, Katherine K. 2005. "Incendiary Incentives: How the Burning Man Organization Motivates and Manages Volunteers." Pp. 109-128 in AfterBurn: Reflections on Burning Man. Eds. Lee Gilmore and Mark Van Proyen. Albuquerque, NM: University of New Mexico Press. Chen, Katherine K. 2015. "Burning Man." In the Wiley-Blackwell Encyclopedia of Consumption and Consumer Studies. Ed. Daniel T. Cook and J. Michael Ryan. Chen, Katherine K. 2013. "Organic and mechanistic forms." Pp. 519-522 in the Sage Encyclopedia of Management Theory. Ed. Eric Kessler. NJ: Sage. Chen, Katherine K. 2010. "Burning Man." Blackwell Encyclopedia of Sociology. Ed. George Ritzer. Chen, Katherine K. 2009. "Authenticity at Burning Man." Contexts 8(3): 65-67. Chen, Katherine K. 2008. “Bureaucracy” Pp. 99-101 in Encyclopedia of Social Problems. Ed. Vince Parrillo. NJ: Sage. Chen, Katherine K. 2008. “Oligarchy.” Pp. 637-638 in Encyclopedia of Social Problems. Ed. Vince Parrillo. NJ: Sage. Chen, Katherine K. 2018 (spring/summer). “Breaking Down the Iron Cafe for Democratic Ends: Reflections on Studying the Burning Man Organization and a Democratic School.” Research memos: On the Dis/Organization of Democracy for Perspectives: Newsletter of the ASA Theory Section 40(1): 11-14. Regular contributor to orgtheory.net, which attracts up to 1,300 visitors per day from 13 countries. Chen, Katherine K. “Commiserating and Celebrating Authenticity at Burning Man: Creativity via Interaction Ritual Chains.” Journal manuscript draft in progress. Chen, Katherine K. “How Governmental, Human Service, and Advocacy Organizations Create Consumers - and Elicit Relational Work - in the Social Insurance Market." Journal manuscript draft, revise and resubmit.